When you look at the heavyweights of the wearable division, Garmin and Fitbit are firmly within the elite group. 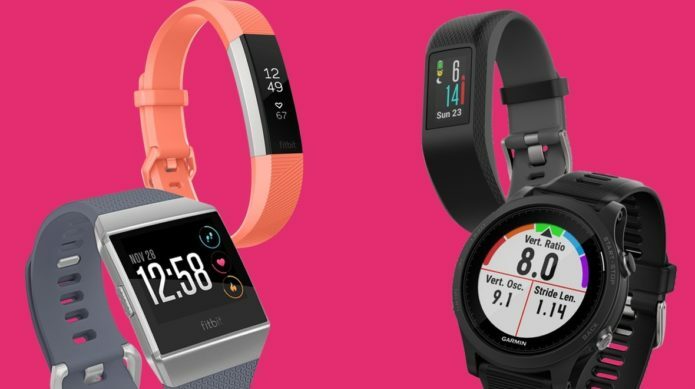 Both have managed to carve out a name for themselves when it comes to fitness trackers, while Garmin also has an ample stable of sports watches and smartwatches to choose from – an area Fitbit is beginning to encroach on with the Ionic and Versa. Both have their obvious strengths, but how do their wearable platforms match up? We’ve broken it down into hardware, features, apps, fitness and sports tracking to see whether it’s Garmin or Fitbit that comes out on top. 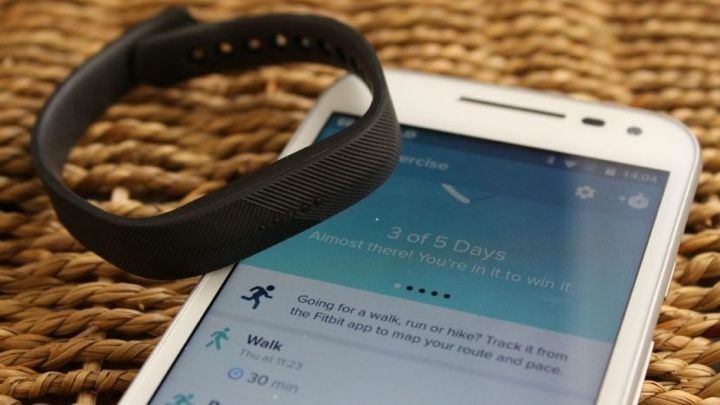 Let’s kick things off with Fitbit and its legion of fitness trackers. Yes, Fitbit is ramping up to go big on smartwatches, especially after the success of the Versa. Still, there are only two of them thus far. Garmin has a wider selection of choice, though all to varying degrees of “smart”. Fitbit was actually creeping into the world of smartwatches for a while, with its Fitbit Blaze and Fitbit Surge acting as introductory “fitness watches”, but that doesn’t change that Fitbit got where it is today because of its fitness trackers like the Charge, Alta and Flex. All are two iterations deep into their life, with the Flex 2providing an entry-level, no-screen, waterproof option and the Alta alongside the Alta HR (our fitness tracker of the year) representing the customisable, stylish, everyday side of Fitbit. For those who want more detailed fitness metrics, the Fitbit Charge 2 is a solid option to explore. While the fitness trackers are the spine of Fitbit, its flagship is the Ionic. It’s a big riposte to the Apple Watch, with an app store that’s still growing, contactless payments and more. It’s the most fully featured Fitbit yet, as it pools together smartwatch-like features with both 5ATM water resistance and built-in GPS – features that previously were limited to select Fitbit lines. It’s also built for the future, intended to eventually have features like sleep apnea and atrial fibrillation detection. It’s worth noting that Garmin is teaming up with University of Kansas Medical Center to get in to the atrial fibrillation and sleep apnea game. However, the Ionic is a more high-performance smartwatch. It’s for people who really care about fitness, while the Versa appeals to a broader demographic – and that’s being reflected in the sales. It’s a stylish everyday smartwatch that can go toe-to-toe with Apple Watch in the fashion department. It doesn’t have built-in GPS, but it is waterproof to 50m and will eventually have the same deeper health detection abilities of the Ionic, tracking sleep apnea and atrial fibrillation. As for Garmin, things are a little more complicated, such is the depth on offer. In terms of fitness trackers, the headliner is currently the Garmin Vivosport – its latest attempt to compete with Fitbit. While it’s got GPS, heart rate monitoring and VO2 Max, it’s also got a bit of a small and overly sensitive display. It also offers more basic options like the Vivofit 4 that focuses solely on those standard fitness tracking features. So steps, calories, distance and standing hours. When it comes to sports watches, Garmin excels. From its Forerunner watches, like our sports watch of 2017, the Garmin Forerunner 935, or entry level watches like the Forerunner 35, all level of runners are well catered for. And it’s not just about running. The top end Forerunners offer multiple sports tracking too along with core features like GPS and heart rate monitoring. 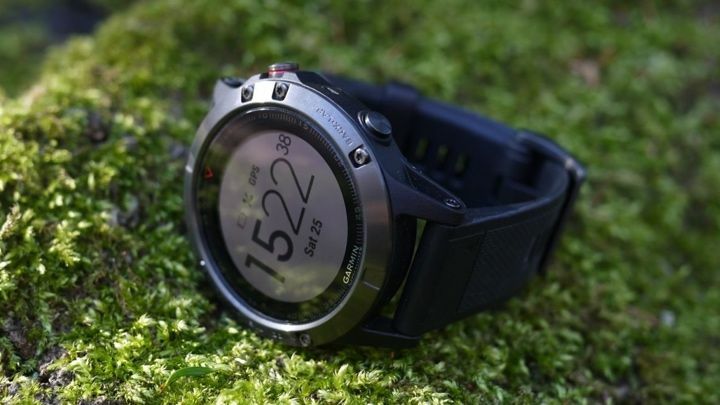 The big daddy of them all, though, is the Garmin Fenix 5 – a rugged outdoor option which also offers two off-shoot styles, the behemoth Garmin Fenix 5X and the more svelte Garmin Fenix 5S. With any of the Garmin models listed above, it’s worth bearing in mind that their predecessors are often still very strong options within the field. You may not be getting the most up-to-date feature package, but you’re still likely to pick up the essentials while also saving a bit of coin. Garmin has also been getting a little playful with its smartwatch options, likely in a bid to encroach on Fitbit’s friendlier style. 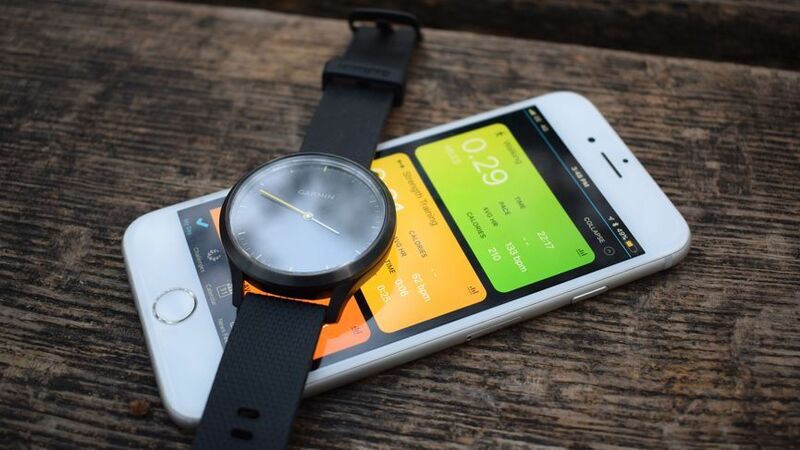 The Vivomove HR is a hearty fitness hybrid, though it lacks GPS. There’s also the Vivoactive 3, a superb sports watch with good smartwatch powers, like Garmin Pay. Garmin has also just introduced the Forerunner 645 Music, which brings music storage to a Garmin for the first time. And though the above represents the main acts in Garmin’s lineup, it also dabbles with golf, per the Garmin Approach S60, a kid’s tracker, in the form of the Garmin Vivofit Jr 2, and boating with the Quatix 5. Speaking of kids trackers, Fitbit also has the Fitbit Ace, its very own kids tracker mostly focused on fitness. At base level, these two companies are really an inversion of each other: Fitbit started with friendlier, easier-to-grasp fitness trackers and is slowly bridging into more complex smartwatches, while Garmin started out with more powerful, robust smartwatches and is venturing into friendlier territory – with dips in into the fitness tracker world. It’s the little things that separate these two. For example, Fitbit will generally provide users with more stylish wearables and much more customisation, while Garmin’s devices tends to lean towards a masculine look. To offset this, of course, you’re given a host of physical options to choose from. While the hardware options will undoubtedly play a factor in your decision to lean towards one or the other here, it’s the companion apps and wider ecosystem that can often win these battles and keep you coming back and not throwing them in the drawer. Take Fitbit, which, while maybe not providing the most detailed after-workout metrics in the business, still manages to offer one of the more rounded fitness platforms. This is particularly the case for beginners, who are able to dive into trends, dedicated workouts, sleep tracking and social aspects, such as linking with friends and challenges. We have our picks for the best Fitbit compatible apps, so we won’t go over them again here, but there are many third-party apps that will shake hands with Fitbit, allowing you to pass data for workouts, calories and other information between them. Strava is a good example of this, letting you feed your runs into your daily Fitbit stats, while any Fitbit activities will also show up in the Strava app. With the Ionic, Fitbit has also launched an app store. It was rough going at first, with only a couple of apps, but the store has gradually grown over the past couple of months, with the likes of The New York Times, Philips Hue, Yelp and more joining the fray. As for Garmin, you’ll be dealing with Connect, the home of your activity, and ConnectIQ, the store for you to pick up apps and new watch faces. As with Fitbit, we have a comprehensive look on how to run better with Garmin Connect and a Garmin Connect IQ app store guide, but we’ll skim through the highlights here. The companion app, which is compatible with all Garmin devices and also available on desktop, offers you a place to plan, track and review your workouts. So whether you’re preparing for a marathon and setting monthly goals or simply looking to beat other runners’ best times in local areas, the platform has you covered. When compared to its Fitbit counterpart, more serious exercisers will find little comparison – Garmin gives you an incredibly detailed look at your activity once you dive past its handy Snapshots, while also allowing you to upload data to the likes of Strava and understand elements like heart rate zones. Even better, Garmin has recently updated ConnectIQ to be more convenient to use for beginners, with an easy-to-digest home screen filled with your stats and metrics. 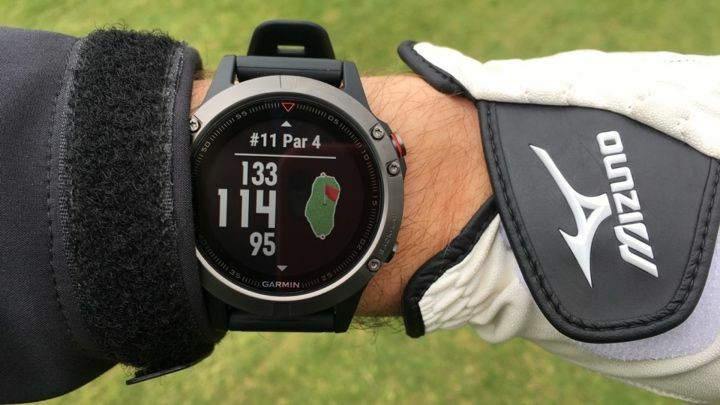 Garmin has also updated Connect and ConnectIQ to better play with music and better enable more watch faces and apps down the road. 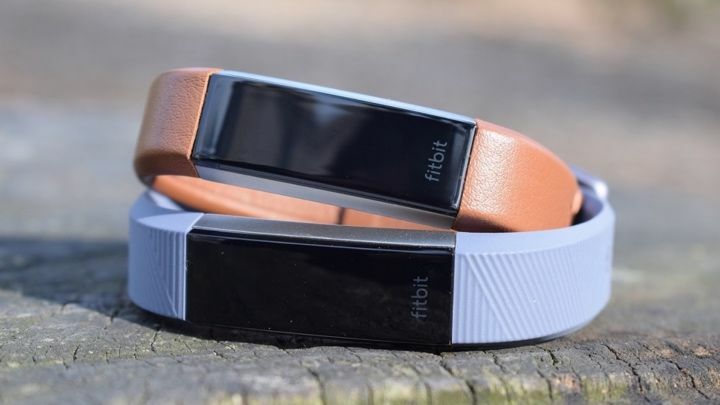 Currently, ConnectIQ is also a stronger proposition than what Fitbit offers if you’re looking to boost and personalise your device, though the Versa is an admirable step toward leveling that playing field. Not only does Garmin’s watch-heavy focus lend itself toward widgets, faces and data fields, but the amount of apps available in the store is also impressive. With this area encompassing so many different devices, it’s hard to crown one company the winner when it comes to basic tracking. What we can do is take a look at one example in which both compete, and see how they compare in the bigger areas. After all, although both of these companies offer devices that can handle the basics, there’s also much more on offer than just step counting. Let’s take the Garmin Vivosmart 3 and Fitbit Alta HR as examples. During testing, we found that that resting heart rate on the Garmin was generally higher, while the algorithms would align this in the app at the end of the day. In truth, it’s hard to establish different trends in how the likes of steps and calories are calculated, but the two do bring different propositions to the table in terms of wellness. With sleep, we’ve found the difference in accuracy between the two brands is also minimal, but Fitbit does possess the power to use your heart rate to work out when you’re in REM sleep and provide full sleep stages. As a result, Garmin users won’t receive the same insights on this front, but this also isn’t entirely surprising, given Fitbit’s push into providing more metrics and merging the feature across older devices. What’s also interesting to note is the two companies’ approach to stress tracking. Fitbit uses Relax, which takes advantage of the onboard heart rate monitor, and HRV monitoring to detect changes in heart rate and offer personalised breathing options. There’s also info to help you keep track of your resting heart rate, a strong indicator of overall health. However, much of this is only available in the Blaze, Charge 2 and Ionic. It’s a similar deal with Garmin’s stress tracking, with this also available through more of its wearables including the Vivosmart 3, Vivoactive 3 and the Fenix 5 series. What Fitbit has over Garmin is female health tracking, which allows women to log their cramps and headaches. Fitbit will use that data to analyse where you are in your menstrual cycle and will be able to predict when the next one will come around. As we’ll explore below, Garmin’s ecosystem does allow for you to dig deeper into your own activity, if you so choose. And when it comes to fitness tracking basics, the Vivosmart family may not go toe-to-toe with Fitbit’s range in every matchup, but Garmin bolsters a number of heavy-hitting smartwatch options packed with sensors and features that only Fitbit’s Ionic can hope to compare itself to. As you may have already gathered, those with ambitions to track a wider range of activities and receive deeper insights should knock on Garmin’s door. But just how big is the gap between the two groups when it comes to tracking various sports? Well, while the likes of Fitbit’s Ionic and Charge 2 will give you dedicated modes for running, cycling and activities on the treadmill, that’s generally as far as it goes. And given the fact that the only devices with built-in GPS are the Ionic and dearly departed Surge, accuracy isn’t as exactly optimal. You’re relying on your phone’s GPS to track. 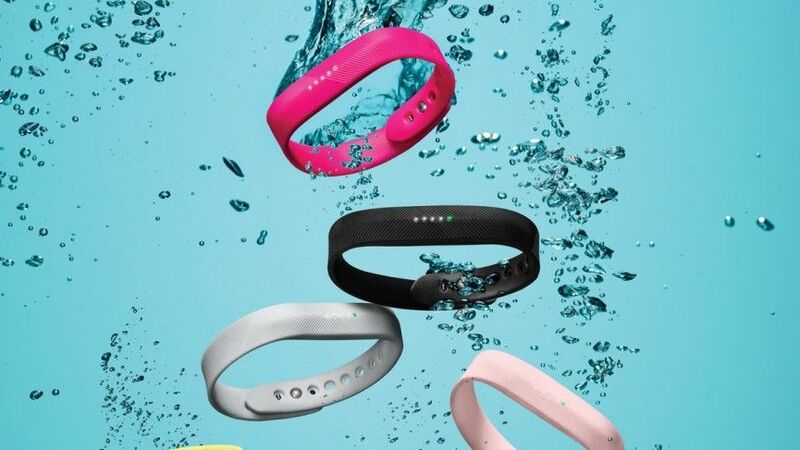 And Fitbit also only has two devices, the Flex 2 and Ionic, that can tolerate swimming. 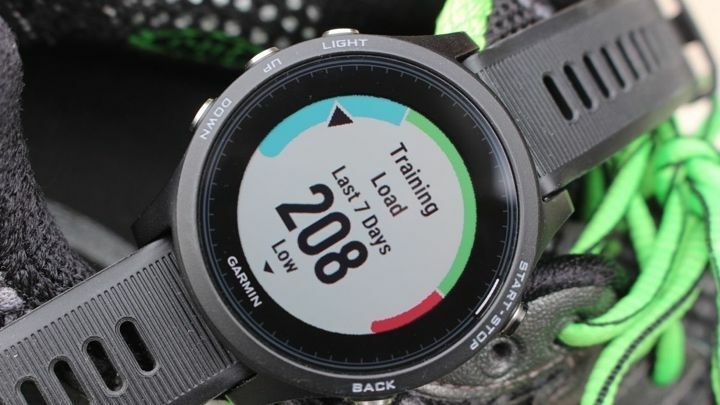 Of course, this isn’t necessarily bad for users likely only wanting something to keep a light tab on their workouts, but for those looking for a countless number of tracked activities, devices from Garmin’s Fenix or Forerunner range are worth exploring. Let’s take the Fenix 5 as an example here, since it sits at the peak of multisport watches. Not only can you track the likes of running, trail running, hiking, cycling, swimming, skiing, rowing, triathlon training and more, but you can also do this with the in-built GPS or Garmin’s UltraTrac, which conserves battery to keep tabs on your activity over longer distances. Heart rate is also a mainstay within the higher end of Garmin’s range, giving you ample insights into heart rate zones and heart rate variance. What you can be sure of, no matter which ecosystem you decide to delve into, is that you’re getting a good package. 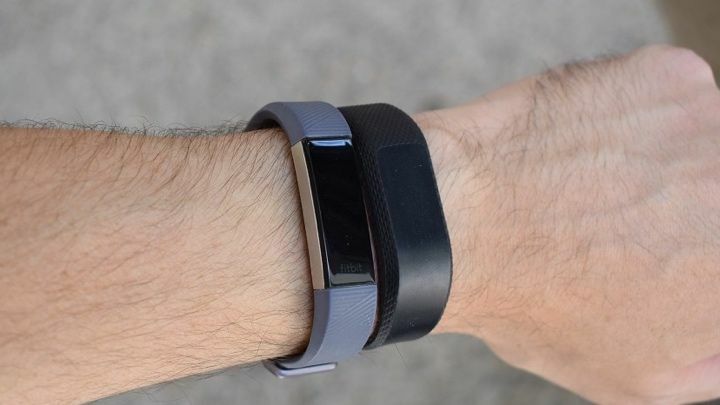 Above, we’ve tried to outline the broad strokes of what both do well, but it’s clear that anybody in the hunt for a introductory device should first consider the range Fitbit has on offer. Chances are, if you’re looking to dip into this area, you’re more focused on health and wellness than personal bests and how long you spent in each heart rate zone. That’s not to completely write off the Fitbit range as devices only suited to beginners, as there are some more advanced metrics and features available – VO2 Max and Guided Breathing, to name just two. You’ll also be on board for the company’s continued push into sleep tracking, and if you go with the Ionic or Versa you’ll likely get the fruits of sleep apneaand atrial fibrillation detection in the future (though, again, Garmin is making a push in that direction too). With Fitbit, you’re receiving a more 24/7, lifestyle option that can weave between the different aspects of your daily life. Whereas with Garmin, you’re generally being offered watches that are dedicated to exercise. Sure, you have the Vivo range which incorporates some wellness aspects and attempts to be more beginner friendly, but by and large the company is aiming to provide you with the ultimate wrist companion for when you’re actually exercising. These aren’t the best looking watches out there, and they’re also not trying (or not trying very hard) to be; this is all about arming you with features, be it pre-run, during your run or post-run to give you a better insight. As always, price is something you have to consider, too. While the notable members of Fitbit’s range begin at $99.95 and max out at the $299.95 mark, that barely makes a dent in Garmin’s family. While there’s the $299.99 Vivoactive 3, if you want the latest from the Fenix or Forerunner series, your wallet will be roughly $500 lighter, and that’s a big financial commitment to consider alongside the ecosystem and general features on offer.